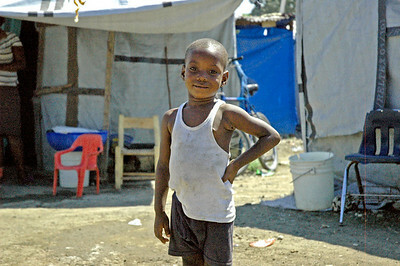 ELCA Presiding Bishop Mark Hanson visits several camps for internally displaced people in Haiti. 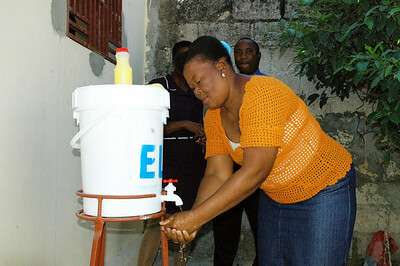 Washing hands is one of the first lines of defense in preventing the spread of cholera. 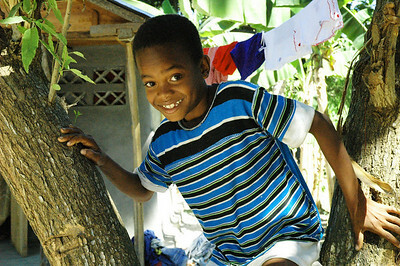 The ELCA’s 5-year strategy to rebuild the livelihoods of Haitians after the 2010 earthquake includes income-generating activities in rural communities focused on re-capitalizing families who received friends and relatives displaced after the earthquake. 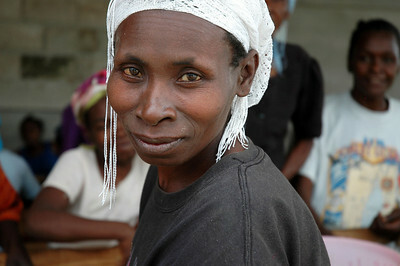 Esta and her husband Jesus own a coffee plantation near Eglise Lutherienne in Thiotte, Haiti. 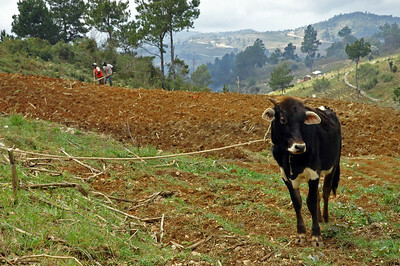 Farmers in the southwest region of Haiti produce 15-20 percent of the staple vegetables consumed in the country. 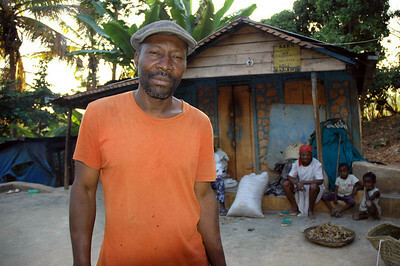 Jesus Joseph and Esta own a coffee plantation near Eglise Lutherienne in Thiotte, Haiti. 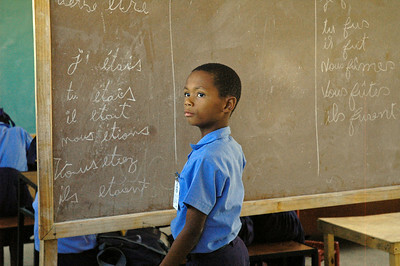 The construction of three school buildings will provide quality primary education to at least 450 students. 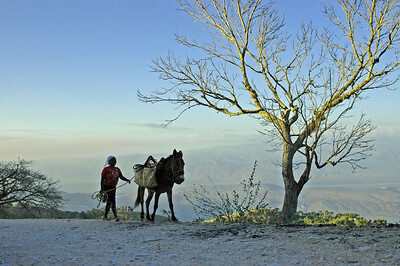 The road to Foret des Pins where the ELCA supports reforestation, animal husbandry and dairy projects. 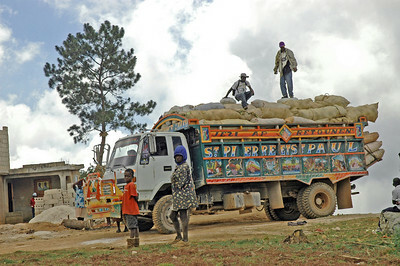 Trucks are loaded with vegetables and head to market for sale. 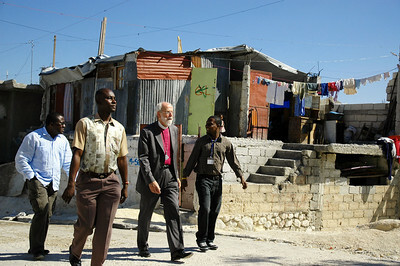 In Sapotille, ELCA Presiding Bishop Mark Hanson walks with Pr. 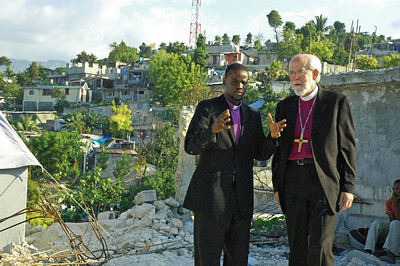 Livenson Lauvanus, leader of the Lutheran church in Haiti, and discusses the church’s response to the 2010 earthquake. About 375 families live in what was once a football stadium but now is home for internally displaced people in Leogane, Haiti. 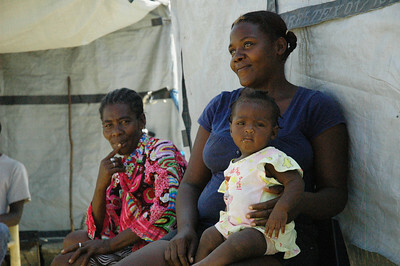 One of 375 families living in an internally displaced camp in Leogane, Haiti. 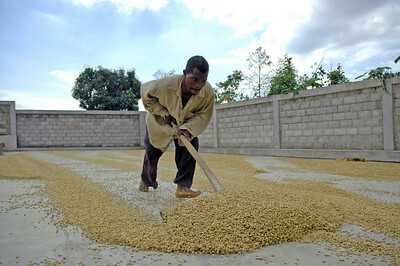 Beans are dried before being weighed and sorted at the coffee cooperative in Thiotte, Haiti. 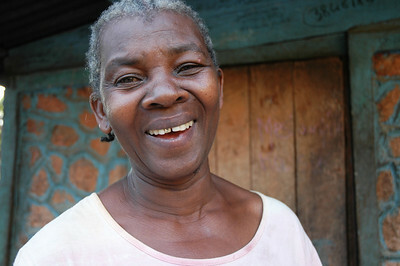 Today, the ELCA-supported project has an established $1 million annual operation. 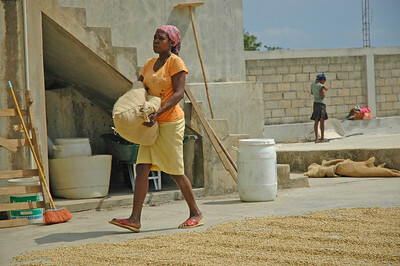 More than 200 women separate each bean by size at the coffee cooperative in Thiotte, Haiti. 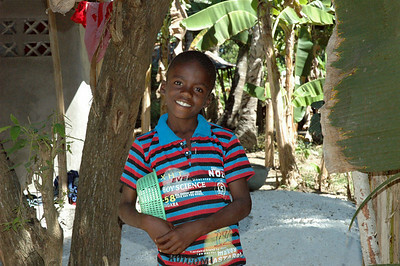 First day of registration at the Evangelical Lutheran Church of Haiti's new vocation training center in Gressier, Haiti. Fifty men and women will be trained annually to work in construction fields.